If you are a returning customer, please include your name, phone and physical address to schedule your service. A unique values based window cleaning service providing outstanding service and perfectly clean windows. 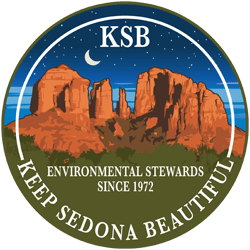 Sedona's uniquely efficient and professional residential window and solar panel cleaning service. Green Window Cleaning is a creatively inspired, outside the norm residential window washing and solar cleaning service. Creating meaningful work with friendly,respectful and talented transparency enhancement technicians who can safely and expertly detail any home's windows or solar panels, no matter how difficult or improbably out of reach they may seem. All while practicing responsible business that contributes to a strong healthy community. Service in Sedona, Page Springs, Cornville, Oak Creek Canyon and Flagstaff. Today’s commute was a beautiful reminder that even though Sedona gets a lot of attention for it’s epic red rocks, there is a place just down the road that is equally stunning in it’s own way. I will always have an affection for wildness that surrounds Cottonwood. It was also nice to help out a friend and fellow #windowcleaner @jaredwestover Thanks for change of scenery! Green Window Cleaning genuinely appreciates and supports local organizations who are working hard to minimize our impact on the natural wonder that surrounds our town. If you are interested in recycling, keeping Oak Creek a usable resource or learning about native plant landscaping and other ways to live more harmoniously with our environment, please visit their websites to learn more about what they are doing and how you can help.